Bob Arum: If Wilder Hits Him On the Chin, It’s Goodbye Joshua! Bob Arum hopes Tyson Fury eventually gets the opportunity to beat both Deontay Wilder and Anthony Joshua. If Wilder and Joshua wind up boxing each other before Fury faces Wilder in a rematch or Joshua in an all-UK showdown, Fury’s co-promoter predicted Wilder would knock out Joshua. The 6-feet-7 Wilder (40-0-1, 39 KOs) arguably is the most devastating puncher in boxing, but the 6-feet-6, 245-pound Joshua has knocked out 21 of his 22 professional opponents. Joshua’s power aside, Arum isn’t confident Joshua’s chin could withstand Wilder’s exceptional power. 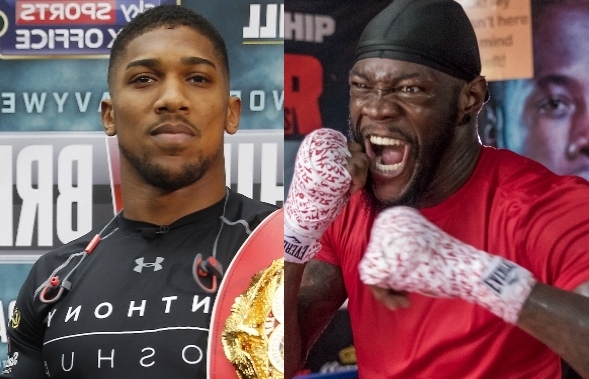 It remains to be seen because Wilder and Joshua don’t seem any closer to their much-discussed heavyweight title unification fight than they were this time last year. The 33-year-old Wilder, of Tuscaloosa, Alabama, turned down DAZN’s four-fight, $120 million offer last week, which would’ve included two fights against Joshua. Instead, Wilder will make a mandatory defense of his WBC title against mandatory challenger Dominic Breazeale (20-1, 18 KOs) on May 18 at Barclays Center in Brooklyn. Showtime will televise the Wilder-Breazeale bout. The 29-year-old Joshua is set to defend his IBF, IBO, WBA and WBO championships against Brooklyn’s Jarrell Miller (23-0-1, 20 KOs) on June 1 at Madison Square Garden in Manhattan. The Joshua-Miller match will be streamed by DAZN in the United States and on pay-per-view, via Sky Sports Box Office, in the United Kingdom. Two weeks later, England’s Fury (27-0-1, 19 KOs) is scheduled to meet Germany’s Tom Schwarz (24-0, 16 KOs) in a 12-rounder ESPN+ will stream from UNLV’s Thomas & Mack Center in Las Vegas. Arum obviously is biased, but he told World Boxing News that Fury is the best of the three heavyweights generally regarded as boxing’s top performers in that division. The 6-feet-9, 260-pound Fury fought to a 12-round draw with Wilder, who dropped Fury once apiece in the ninth and 12th rounds of their December 1 bout at Staples Center in Los Angeles. Arum’s company later reached a co-promotional agreement with Frank Warren to work with Fury. That deal prevented Fury from signing a contract to battle Wilder again on May 18. Arum also attempted to sign Wilder to a multi-fight agreement, but Wilder turned down that offer. ← Errol Spence Jr. vs. Mikey Garcia: Why this Trend has to stop.